the nytpicker: BLOGOUT! All 58 NYT Blogs Go Dark; For Last 12 Hours, Readers Stumbling In Darkness Looking For Krugman, Pogue, Motherlode. BLOGOUT! 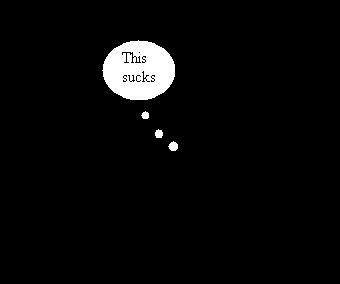 All 58 NYT Blogs Go Dark; For Last 12 Hours, Readers Stumbling In Darkness Looking For Krugman, Pogue, Motherlode. Where were you when the blogs went out? For the last 12 hours at least, the NYT's entire blog system has gone suddenly, quietly dark -- giving the paper's millions of online users no access to any of its 58 blogs' postings or archives. Amazingly, not a single one of those readers has twittered the news, and the Great Blogout of 2010 has also escaped the notice of a vigilant army of media websites. Does this mean no one actually reads the NYT blogs? We're working hard to get our blogs back up and running. Stay tuned. It wasn't clear from that tweet when the blogout happened, although The NYTPicker recalls getting an error message on a blog as early as yesterday afternoon. That message can now now seen by anyone clicking on any blog. To our followers: We are still wrestling with the technology that powers NYT blogs. Sorry for the hassle, but we're working on it. At this moment, no reader has any access to any NYT blogs or their archives. The blogs on NYTimes.com have been experiencing technical difficulties. DealBook posts can be found at nytimes.com/business. Hurry up, NYT! We can't live without "Motherlode" much longer! As with any shell on the ground programmed for self-termination, privileged handlers are warned, and commanded to opt out of participation and maintain risk negative distance. 'Motherlode' advocates harmful parenting, it is not fully on automated remote and may serve as a live response case study. This post may induce droning to block civilian reader access. damn, you know, this blow out came on the very day i had sent a link to a dot earth blog post to a newspaper editor in UK who wants to do a story, finally, about polar cities, and yet when he tried to open the link he got nada. and said no thanks. so thanks NYT for nada. if a new york times blog goes dark and no one tweets about it, did it really happen? Look at the blogs with the eye of someone who knows how to run things. 1. The blogs do not offer individualized response. So when I read something on post 22 that I wish to reply to, I have no way of responding directly to it other than "Hey, 22, I read your post ..."
There are cartoon strips online that have that functionality. That the NY Times doesn't requires only one two-part question: Who is responsible for the blogs and why hasn't he or she been fired? 2. The blogs do not instantly post. So people lose interest in a debate carried out over three days. 3. The blogs (and by extension, the whole comment concept as mis-executed by the Times) are, well, to no small degree, tiresome. If the topic under discussion were really that important or interesting, write an article about it. in point 2, by "blogs" I meant "comments posted in the blogs." As with any group, individual infiltrators use the collective to shield themselves from the punitive results their intended harm begets. Their harmful intent is a greater evil that the harsh measures available to stop them. Punishment serves to pre-empt future similar acts, and to reform the self-destructive illiberal extremist where possible. Side affects include radicalized behavior by the exposed and agitated extremist, ie more harmful content, which especially affects the illiterate reader. Further, the correctional process provokes natural resistance among semi-attentive figures, to the jeopardy of the whole group.